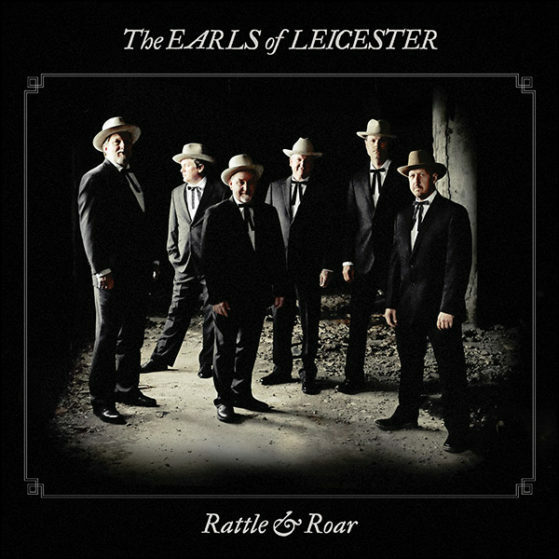 Rattle & Roar is the follow-up to the Earls’ eponymous debut, which inspired tremendous critical accolades, and earned a Grammy award for Best Bluegrass Album. The band also went on to win six International Bluegrass Music Association awards, including the coveted Album of the Year and Entertainer of the Year honors. With Rattle & Roar, the Earls – Barry Bales, Shawn Camp, Charlie Cushman, Jerry Douglas, Johnny Warren, and Jeff White — have conjured up a fresh batch of Lester Flatt and Earl Scruggs songs, delivered with their now signature blend of homage, virtuosity, and perspective. The inimitable Douglas remains the band’s producer and hypnotic Dobroist; blue-ribbon songwriter, singer, and producer Camp still soars on lead vocals and guitar; revered multi-instrumentalist and sideman Jeff White now deftly handles high harmony and mandolin; ace Nashville banjoist Charlie Cushman tackles banjo and guitars; topflight musician Johnny Warren cuts in radiantly on fiddle; and the esteemed Barry Bales, Douglas’ longtime bandmate in Alison Krauss and Union Station, holds magnificently steady on vocals and bass. Rattle & Roar pulses with impish joy and immediacy, uniquely showcasing artists at the top of their game as they delight in their work not just as creators, but also as fans. Harmony-drenched “You Can Feel It in Your Soul” bounces with gospel fervor cushioned by warm strings, while “I’m Working on a Road to Gloryland” features multiple vocal bows worthy of a riverside revival.